2016 is the year China’s President Xi Jinping extended his China dream outside of China in implementing his Document No. 9 directives against constitutionality, universal values, press freedom, civil society and analysis of historical errors. It began with parades on television of the five Hong Kong booksellers who were kidnapped in 2015, “admitting” that they had gone to China “willingly” to “confess” their “crimes” against the state. The attempt to stop the publishing of the book “Xi Jinping and His Lovers” and other banned books backfired, garnering more than a million Google search results. President Xi Jinping should release Gui Minhai, the last detained kidnapped booksellers, asap before the coming fall’s 19th National Congress of the Chinese Communist Party so this debacle will not hang over his head. President Xi Jinping’s campaign against corruption to catch ‘tigers’ and ‘flies’ should include those ‘mosquitoes’ that Wang Yu exposed. These ‘mosquitoes’ not only committed crimes against the Chinese people but contribute to the moral corruption of China’s society. While in Ottawa in June this year, China’s foreign minister Wang Yi was asked about human rights issues in China, in particular, the case of the kidnapped booksellers. He angrily avoided the question by pointing out that China had lifted millions out of poverty. 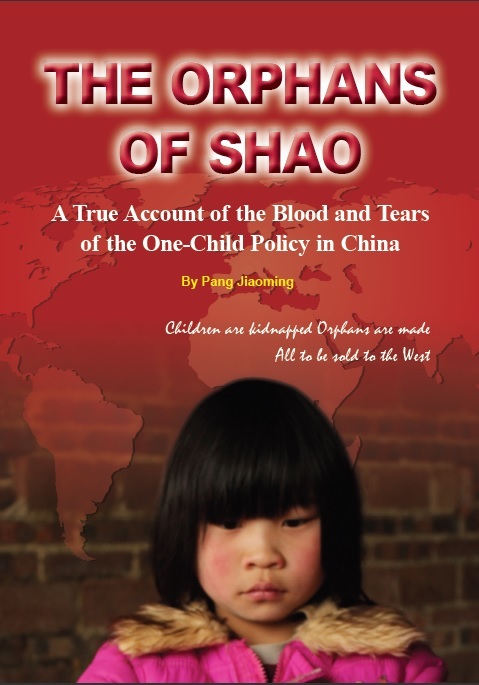 However, Wang Yi’s comment will bring up the question as to who caused these people their misery in the first place. The Chinese Communist Party’s policies of various historic anti movements, Great Leap Forward, the Great Famine of 1958-1962, the Cultural Revolution, etc. caused the death of 70 million people and brought China to the brink of economic collapse even as Hong Kong, despite having to deal with the constant influx of refugees from China, became a world financial center and with Taiwan, Singapore, South Korea as the four Asian tigers of the second half of the 20th century. Lancôme, the French cosmetic company, canceled a Hong Kong event with singer Denis Ho after China’s state owned newspaper Global Times complained about her support for democracy. As a result, Lancôme and its parent company L’Oréa had to face the company’s worst public relations nightmare especially when a French citizen started a Change.org petition to boycott the company garnering more than 86,000 signatures world wide. Listerin, another brand, on the other hand, ignored China’s pressure. Lesson to global businesses: weigh your options carefully, one will never recover from a tainted reputation. Furthermore, those who comment on the internet in China’s state owned media, are often members of the 50 Cent Party, paid commentators or public employees who are expected to write comments as part of their official duties. A research has shown that China generated 450 million fake comments each year. The Academy of Motion Picture, in awarding an honorary Oscar to kung fu star Jackie Chan who famously declared that Chinese need to be controlled, has in effect become China’s partner in propaganda. Continuing with Xi’s campaign against civil society, a new law has come in effect in China in 2017 that mandates an approved Chinese sponsor for any foreign NGOs in China with the sole purpose of having the Chinese Communist Party oversee the NGO’s activities regardless of the NGO’s purpose. The law gives the police power to investigate the NGOs and its intentional vague language allows the court to interpret the law any way it pleases. With 2017 barely starting, Apple Inc. already succumbed to China’s demand and removed the New York Times from its App Store. What Apple does not recognize is that as Apple slowly but surely loose its distinction from Huawei whose founder was a member of the Peoples’ Liberation Army, China’s consumers may abandon Apple. What will 2017 hold for the future of China? With thugs increasingly used by the government to carry out China’s extrajudicial punishments, the government will see its own mandate to govern slowly eroding to the point where government officials are beholden to the growing power of the thugs.